Are you looking for experienced Greenwich painters for your home or business? We are a small, family run painting company and take pride in every painting job we do. We strive for perfection every time, using tried and tested methods to ensure the best possible finish. At F&F Painting Co we offer professional interior and exterior painting services for homes and businesses across Greenwich. 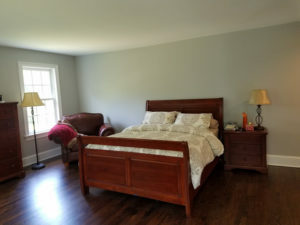 For more than 10 years we have been providing Fairfield County with our superior quality painting services. Our painting contractors use industry leading equipment to give you a superior finish every time. No matte how big or small your project you can always expect us to clear up as we go along and take adequate steps to protect your property. We never cut any corners! We pride ourselves on the best customer service. At F&F Painting Co, we do more than just painting for the home! We are also experienced in everything from power washing to floor staining, roof cleaning and more. You can trust us for all of your home improvement needs! We want to help turn your house into a home. Ask us about our full range of home improvement services! Call your Greenwich painters today!